After a trio of winners last week, Ben Steele returns with a look at the best of the action across the MLB tonight. 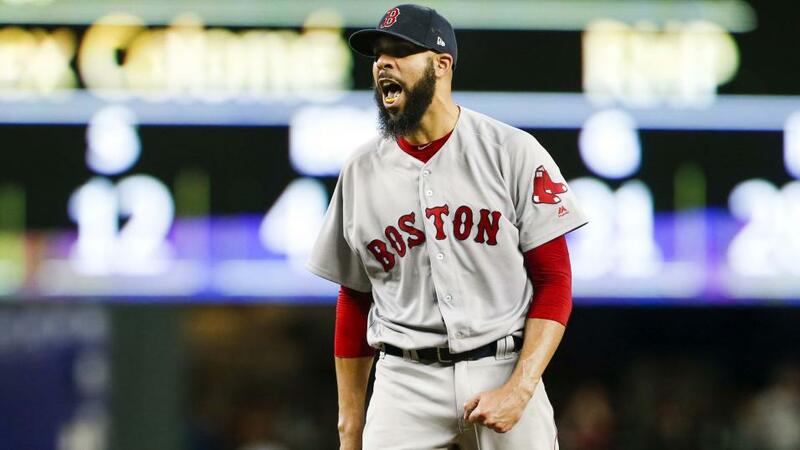 "Boston will start David Price, who is 6-0 across his last seven starts and is definitely back to his best. Boston should win, and win well, tonight." Two of the National League's best face off in Chicago as Ross Stripling of the Dodgers looks to extend his six-game winning streak against a Cubs side led by Jon Lester and his 8-2 record. Stripling has been a surprise breakout star this season and has developed in to a very able deputy to the injury-hit Clayton Kershaw. His winning streak includes impressive performances against three playoff chasing sides (Phillies, Nationals and Braves) and the Cubs would be another feather in cap. However, Jon Lester is the best competition he'll have faced on this run and the Cubs' man has a been a hot-streak of his own in recent games. After allowing just eight hits across his last 20 innings Lester has worked his ERA for the season down to just 2.28 but he has had most of his success away from Chicago this season. Look for Stripling and the Dodgers to edge a low-scoring encounter between a pair of pitchers who could be teaming up at the All-star game next month. The Baltimore Orioles have been unbelievably bad this season. Their 20-51 record sees them sitting bottom of the standings and they are on pace to win just 46 games this year, which would be a franchise record low. If that wasn't bad enough they have only won three of their last 20 matches and last night threw away a 5-1 lead against tonight's opponent. Washington's 9-7 win just highlighted the problem's the club have had this year. Last night was a rare good outing for the offence and even then, the pitching staff's inability to keep the score down let the side down. The Nationals, by contrast, are chasing the playoffs and with the likes of Bryce Harper and Anthony Rendon in decent form shouldn't have trouble picking up another win tonight. While Baltimore have the fewest wins in the league this season their divisional rivals, Boston, have the most. Their 49 wins have been backed by a power hitting offence that is second in home runs, runs scored and batting average, highlighting the nightmare proposition they are for opposing pitchers. The man tasked with facing the Boston powerhouse tonight is Lance Lynn, a 31-year-old from Indiana who has had a season that can be described, at best, as mixed. Lynn has shown flashes of the skillset that brought him to Minnesota but has also, occasionally, struggled with his control and has allowed hitters to consistently score off him. Boston will start David Price, who is 6-0 across his last seven starts and is definitely back to his best. Boston should win, and win well, tonight.